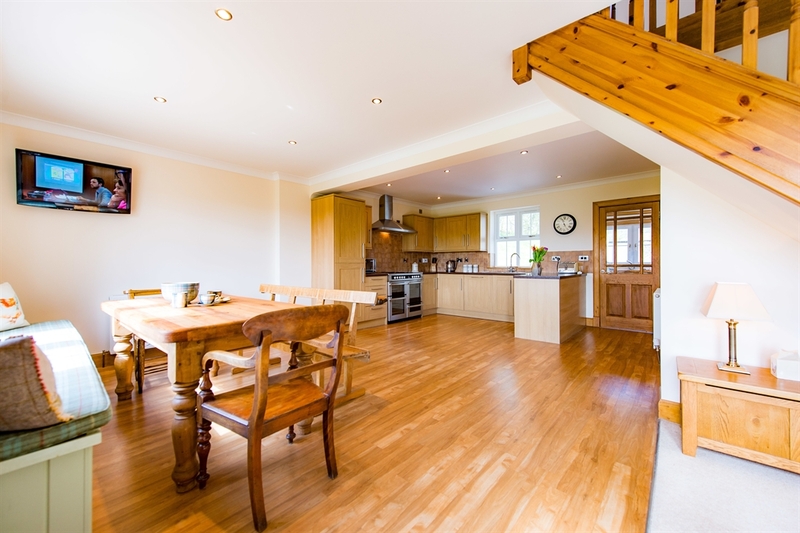 A beautiful 3 bedroom cottage, offering spectacular views and a slice of the country life, with everything you could need in your home from home, on the farm. 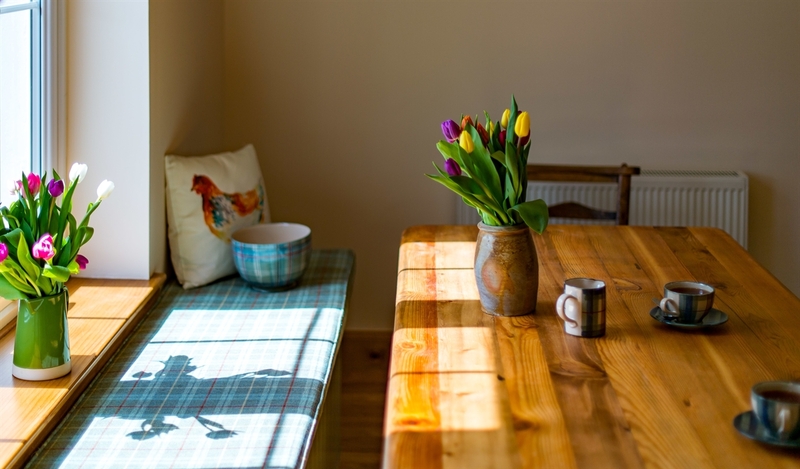 The cottage is located right in the heart of our farm and will offer you a slice of the country life, with everything you could need in your home from home, on the farm. 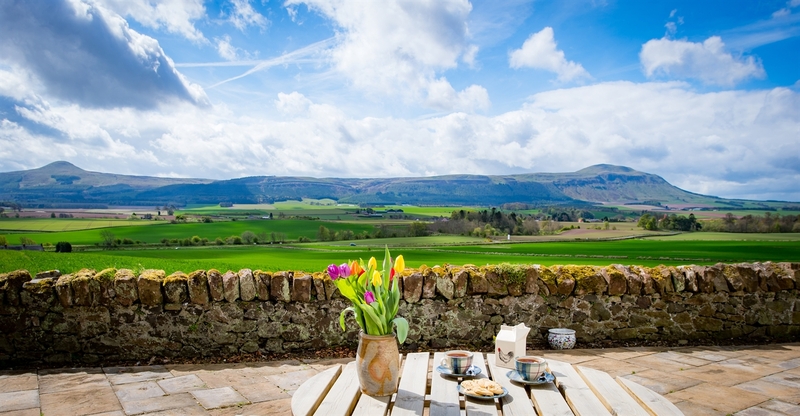 In the heart of Fife we are surrounded by spectacular countryside, perfect for those who like walking, cycling and the many other outdoor pursuits available in the surrounding area. 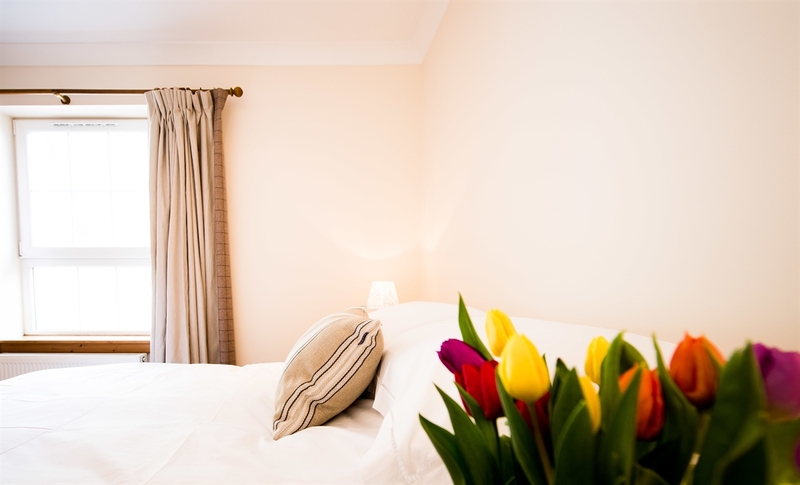 We are also ideally located for exploring many parts of Scotland, 19 miles from St Andrews, 22 miles from Dundee, 35 miles from Edinburgh and 53 miles from Glasgow. The surrounding towns of Auchtermuchty, Falkland, Kinross and the city of Perth offer many choices for eating out and shopping. 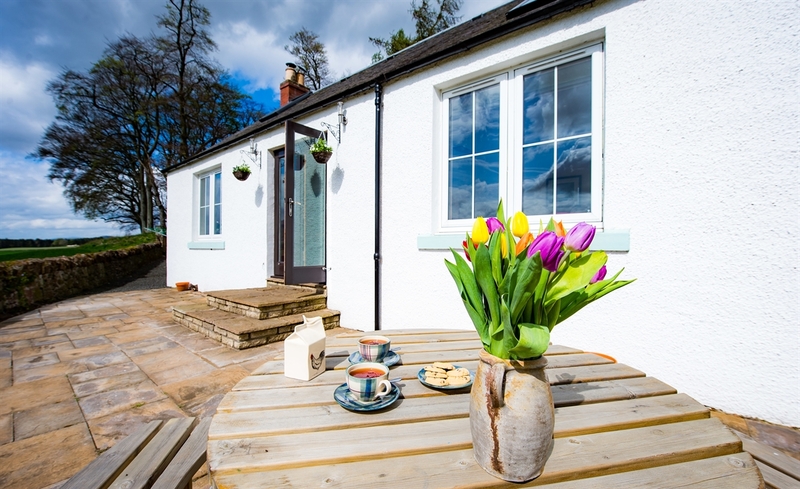 The cottage is a short drive away from many cultural and historical attractions, including Falkland Palace, Hill of Tarvit Mansion House and Gardens and the Secret Bunker. If you are looking for family fun you have three local activity parks, Muddy Boots, Cairnie Fruit Farm and Cluny Clays, great fun for adults and children. 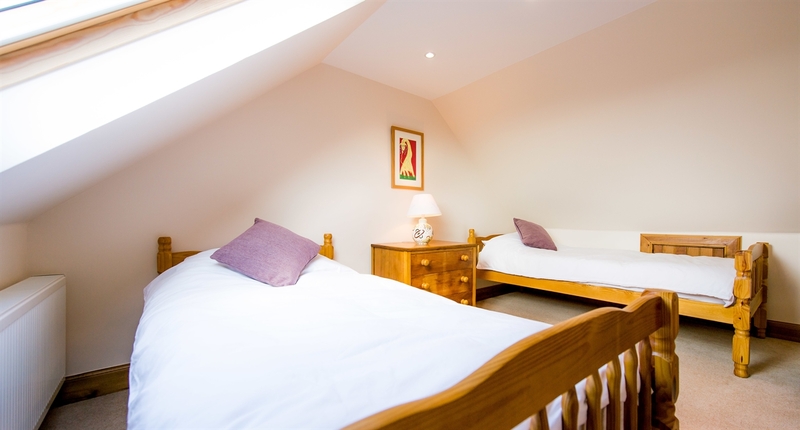 The cottage has 3 bedrooms and sleeps up to 4 adults and 2 children or any configuration you can make out of 1 King bed, 1 double and 2 singles. 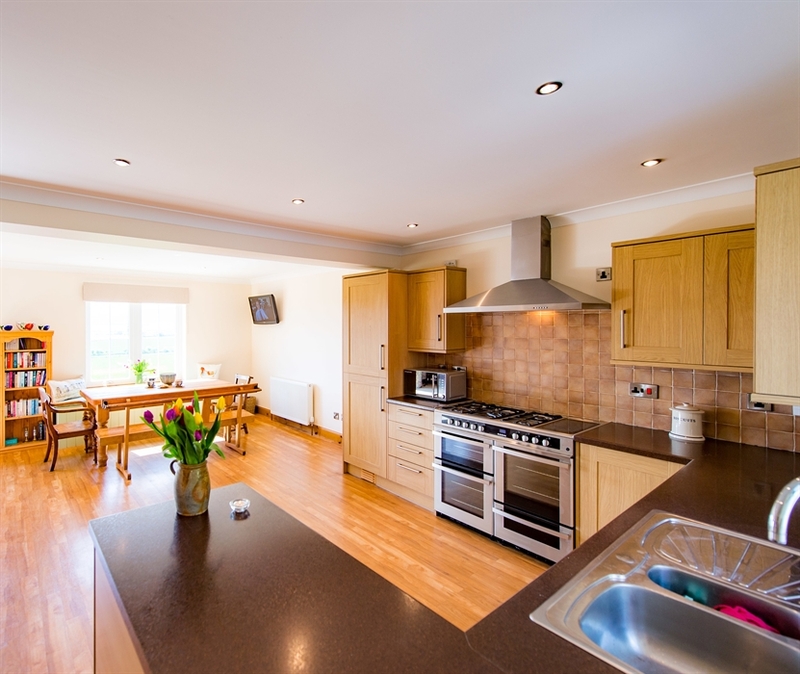 The cottage has an open plan kitchen/dining area and a sitting room with log burning stove. 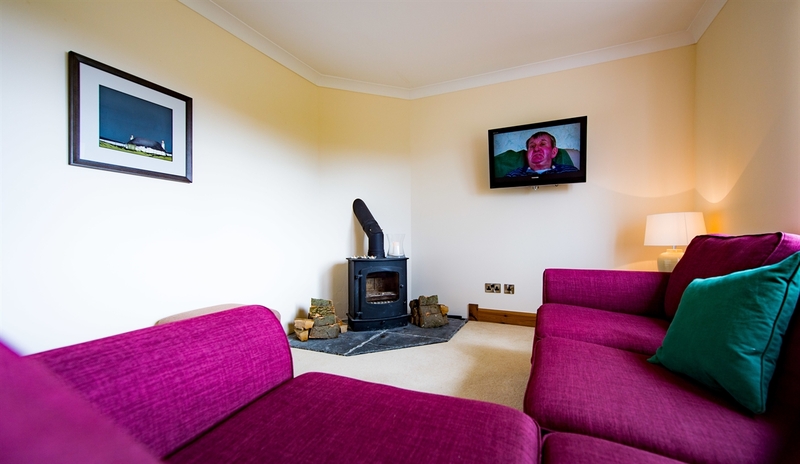 The cottage was designed to take full advantage of the stunning views over the Lomond Hills and the patio area is the perfect place to relax and take in the view. 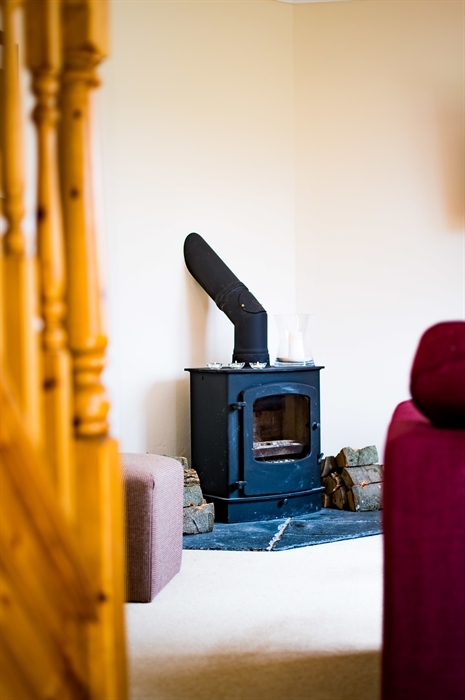 The cottage is fully equipped with everything you would need, from hot water bottles to a BBQ, to take account of all seasons. On arrival you will find details of all the local activities and we would be delighted to provide you with information in advance to allow you to plan your time with us. If you like to wake up with a spectacular view, feel the need to escape from the hustle and bustle, or simply fancy a family getaway, you will find it all with us. If you need any more details we would be delighted to give you them and look forward to welcoming you to Home on the Farm.